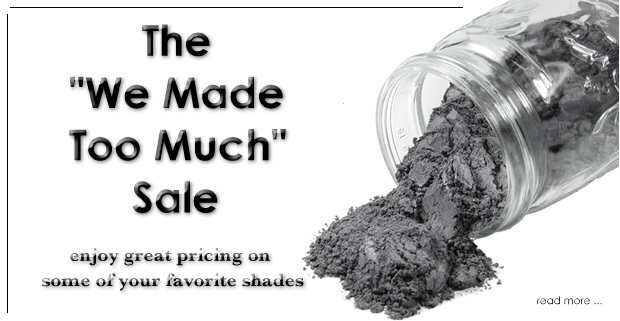 The "We Made Too Much" Sale! We have been formulating like crazy but have gone a little overboard on several shades. So in an effort to help get inventory levels down to normal we have some special pricing on shades that we have just simply made too much of! Shop early for the best selection of products and shades. For a limited time.